Kangaderoo Custom QR Code. : Dangers of social media promotions. Quote from the movie Lethal Weapon 2: "You haven't heard about me? l got a bad reputation." The internet, and especially social media like Facebook, Twitter and blogging is a nice way to promote products like Custom QR Codes. My QR Codes, like the one displayed on the left are graphically enhanced. In order to promote these codes I occasionally make a code with a image that is related to current events, this one has an Olympic theme. But there is a downside to promoting these QR Codes on social media. The link I place in these promotional codes uses the adf.ly shortening service, Using that service an advertisement will be shown before linking to the actual content i.e. 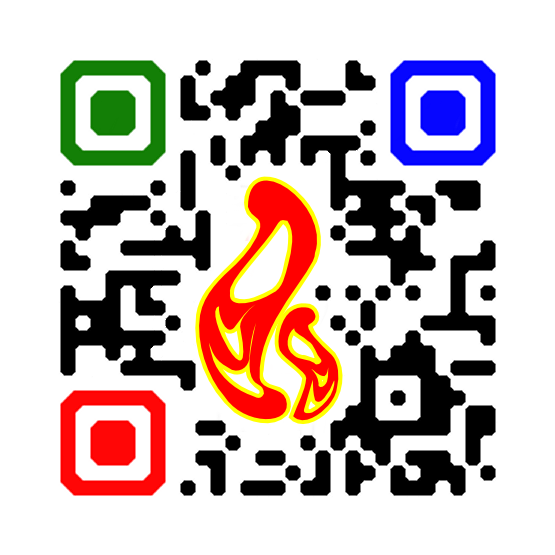 a link to my site for promotional qr-codes. 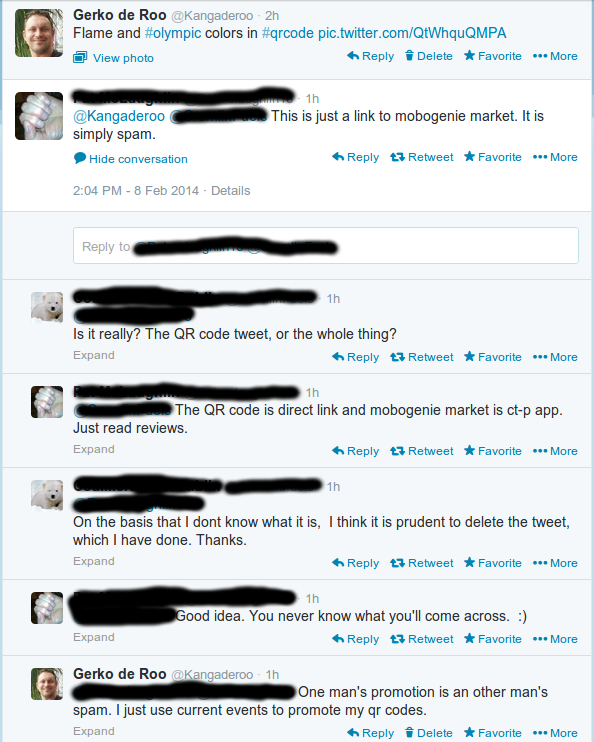 I was unpleasantly surprised when after placing this code on Twitter the following happened. I had to look-up what mobogenie actually means :-) It looks like the advertisement that the adf.ly service showed when the code was scanned was not appreciated. The "bad reputation" then automatically roll's back to the QR Code itself. The result is very unfortunate, someone who liked the graphical appeal of the image enough to re-tweet the original message deletes this tweet. An action that kind of kill's the promotional intent. My efforts to repair the damage resulted in no-replies.